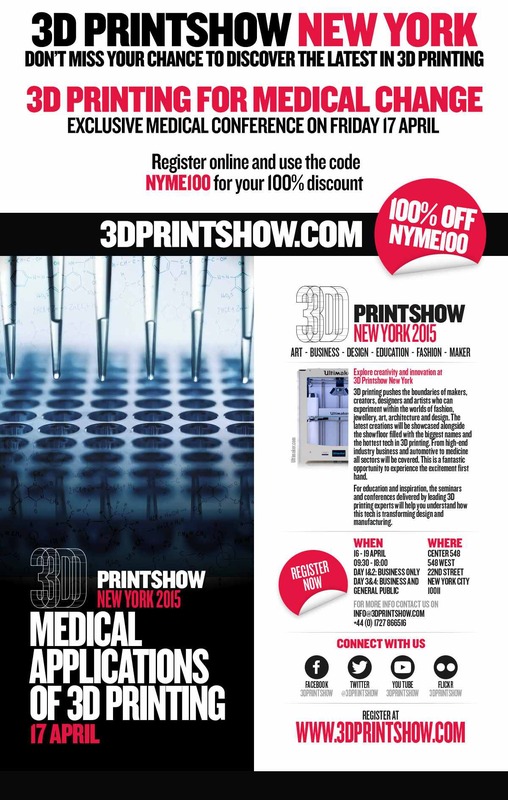 This Medical Conference—and the larger, multi-track 3D Printshow—will be a event you (NYC3DPers and HCx3DP Synergists) will want to attend. 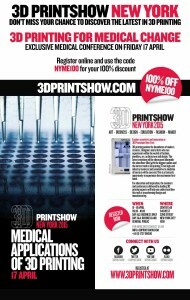 The Med Conf is running from 9 AM to 12:30 PM on Friday, 17 April, at the Center 548, 548 West 22nd Street, NYC. Come on out and join-in! At Huge Inc.—”Digital District” DUMBO Brooklyn’s biggest digital media firm—45 Main Street, the “Biggie Room,” DUMBO, Brooklyn. 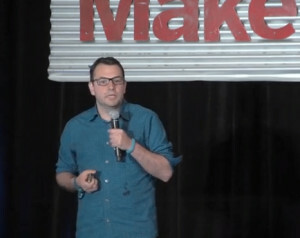 Back at the end of May, 2014, a group of mostly RNs (Registered Nurses)—led by Kelly Reilly, Director of Nursing Research & Evidence-Based Practice—at Maimonides Medical Center (Maimo) in Borough Park, Brooklyn, launched the very first official (Maker Media Inc.-registered) Mini Maker Faire at a hospital. Maimo Mini Maker Faire worked because it was a grassroots/nurses-supply-closet integration of interests—with both academic and commercial support structures. This inaugural Faire followed on the advent of one of the first MakerNurse.org chapters—-at the Maimo Medical Center. Just over a year ago, MakerNurse.org was a nascent online organization founded as a brand-new initiative of the Little Devices Lab (as in “medical devices”) of Prof. Jose Gomez-Marquez & Confreres at MIT. Now, Director Reilly has conceived of another innovation in the Medical/Maker Space: DIY/DIT medical science/healthcare services-based “community” Maker Spaces. The working title for this grassroots-facility initiative is “Health Maker Lab” (HML). The “community” being comprised of both hospital/med center staffers AND hyper-local “citizen scientists.” The probable location would be a private space outside the physical environs of a medical institution. This is for all the reasons that keep “institutions” from fostering inspiration, creativity and innovations. But, an HML should reside/abide geographically close enough to a Healthcare institution to encourage easy physical access, cross-pollinating, common-goal integrations and serendipitous collaborations. Kelly Reilly has recruited a team of susceptible Maimo colleagues and independent Healthcare-focused players from the wider community to help plan and foster the first HML. I was pleased to be included. We had our first meeting two weeks ago—and I look forward to helping to found the (world’s?) first “Health Maker Lab” in Brooklyn. On March 23, 2015, the NYCEDC-fostered Entrepreneurship Lab Health and BioTech NYC, ELabNYC, announced its 2015 Pitch Day April 2, 2015. ELabNYC is an annual competitive entry program of entrepreneurship training and networking initiated by NYC Economic Development Corporation. ELabNYC is now supported in a public/private consortium by corporations with a long-term commitment to the development of the “life science ecosystem” in NYC. These players include Kaneka, EisnerAmper, TriNet, Moses & Singer, Pryor Cashman, Roche, Pfizer and Microsoft. Participation in the ELabNYC program is open to eligible NYC businesses, residents and ventures commercializing NYC based medical research institution intellectual Property. ELabNYC 2015 Pitch day will highlight the business plans from the current cohort of ELabNYC participating ventures representing SUNY, CUNY, Columbia, Weill Cornell, Einstein, NYU, Binghamton and Yale University (they moved to NYC to participate!) with technology from the nutriceutical, drug development, therapeutics, diagnostics, devices and apps, bioinfomatics, precision medicine and materials fields. The ElabNYC program starts with an application process. All Applicants to ELabNYC are screened by a national group of scientists, business entrepreneurs, and funders. Background checks and in person interviews continue the screening process. In December, the 2015 class was announced. Since then the 20 invited teams have worked to develop business plans, refine product strategies, recruit team members and identify funding partners. ELabNYC Pitch day audience includes university tech transfer offices, medical researchers, pharma, lawyers who work with early stage ventures along with accountants and angel and corporate investors and corporate executives interested to meet the next generation of NYC startups in the life science space.